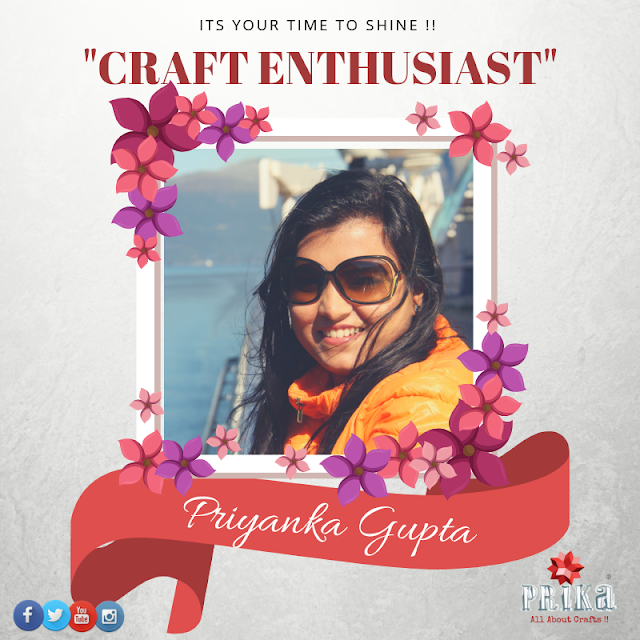 I am Priyanka Gupta from ‘Memory Keepers by Priyanka’. Today I want to share with you guys a tissue holder which I made using mixed-media techniques. 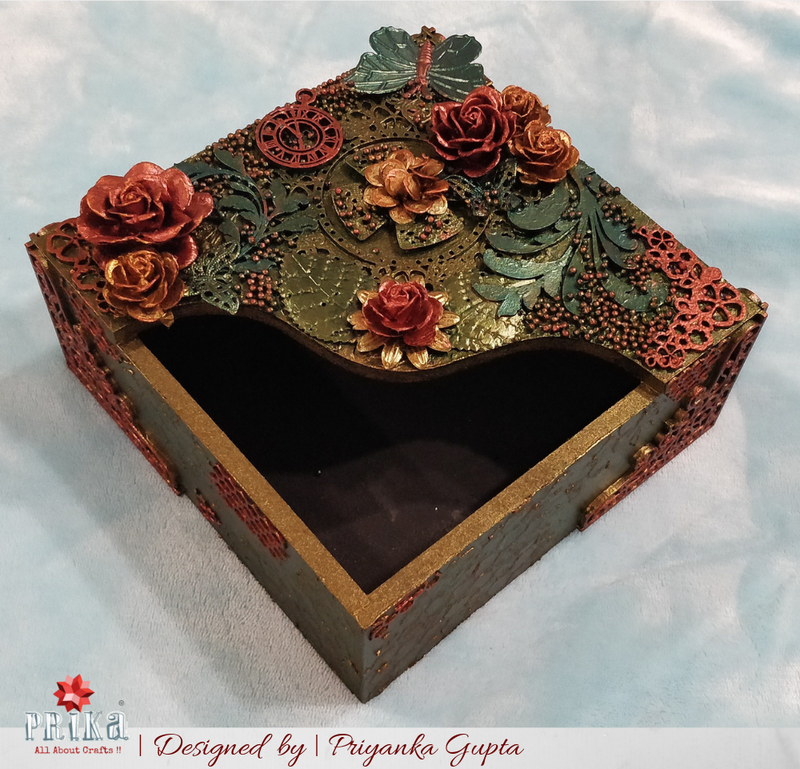 This is my third attempt at mixed media and hope you guys like it. 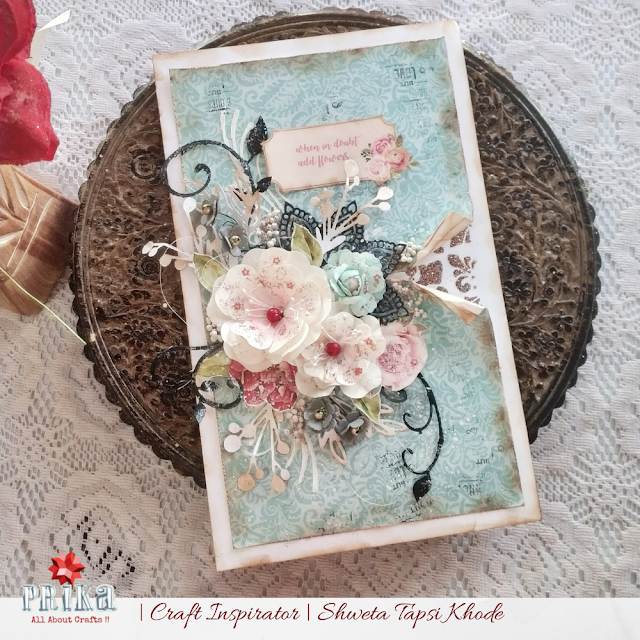 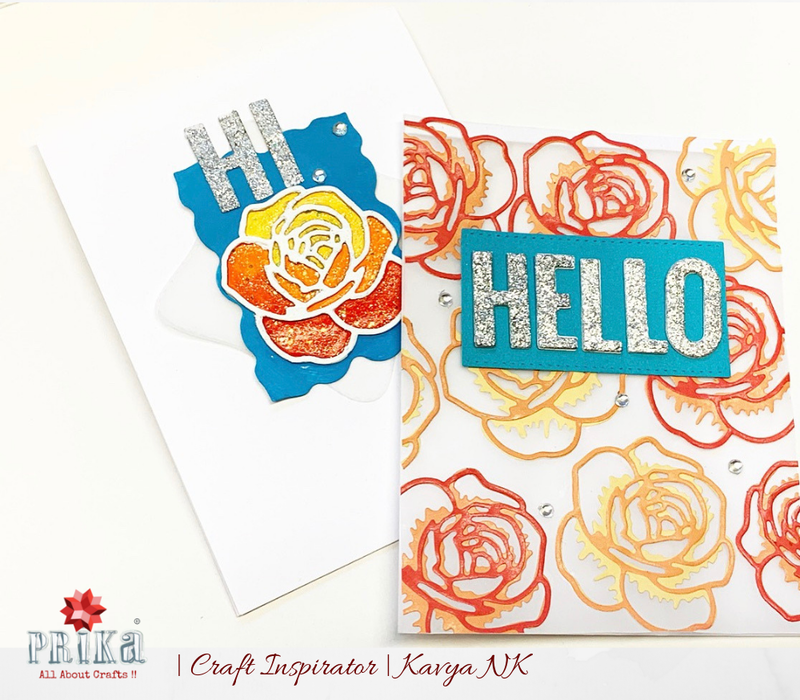 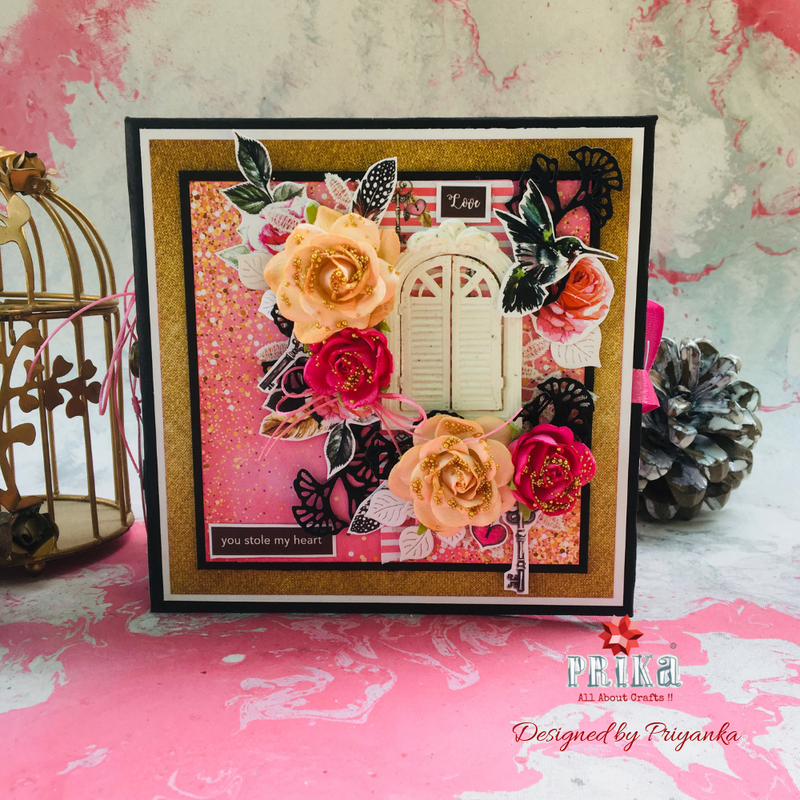 I am back on Prika’s blog with a quick and easy shabby chic card that you can make for yourself in a jiffy. 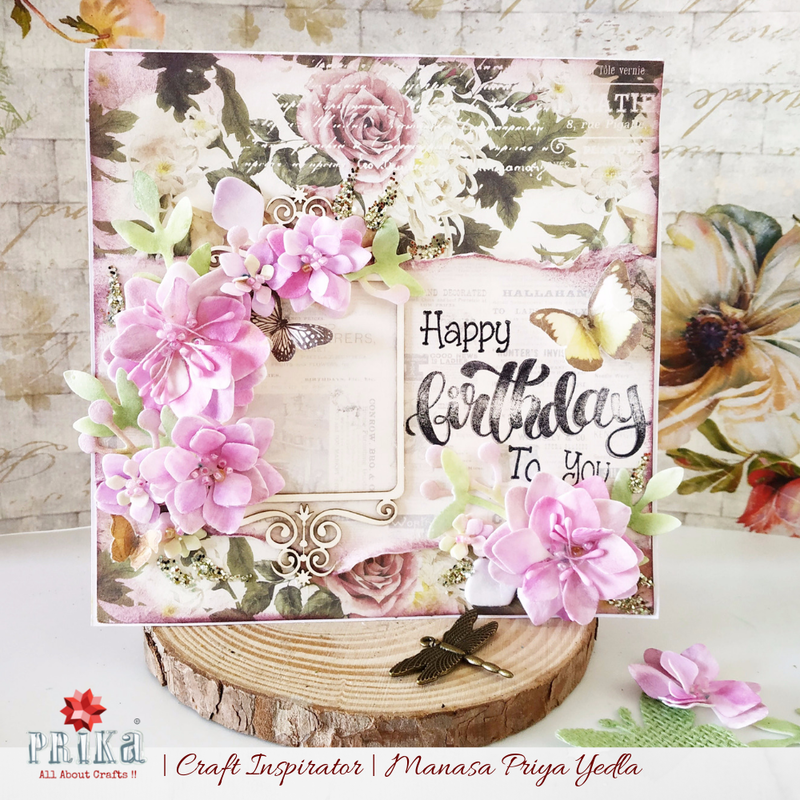 So, I made this for my mom with a personal note, who is turning 50 this year. Another lovely Tuesday and we are back again with interesting story of a creative crafter to read, know and get inspired....our very last featured story for this month goes ahead with ”Craft Enthusiast of the Week : Priyanka Gupta” , dwelling in Delhi, and a brand new mom we would say.. she found her inclination towards crafting by beginning to create her own maternity journal and further finds her little angel to be the source of inspiration to pursue her creative work....There’s lot more to know about her journey and her passion for crafting in her own words…as well as some of her amazing projects she had worked upon! 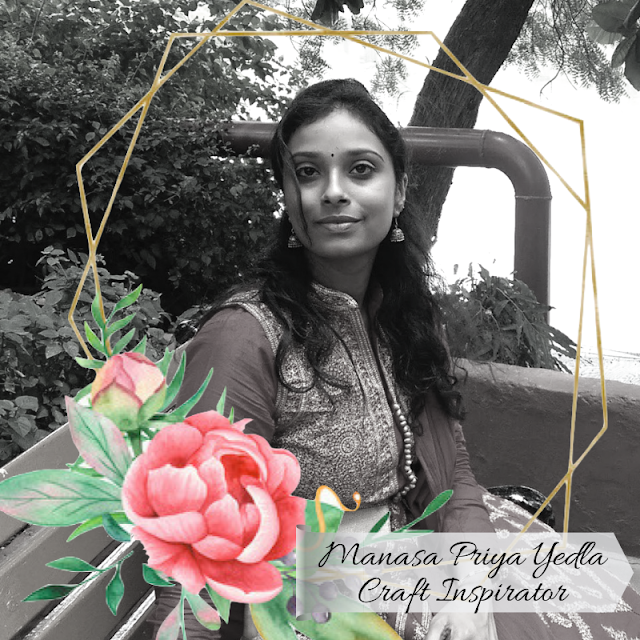 I’m Manu and I have a project inspiration to share with all of you!. 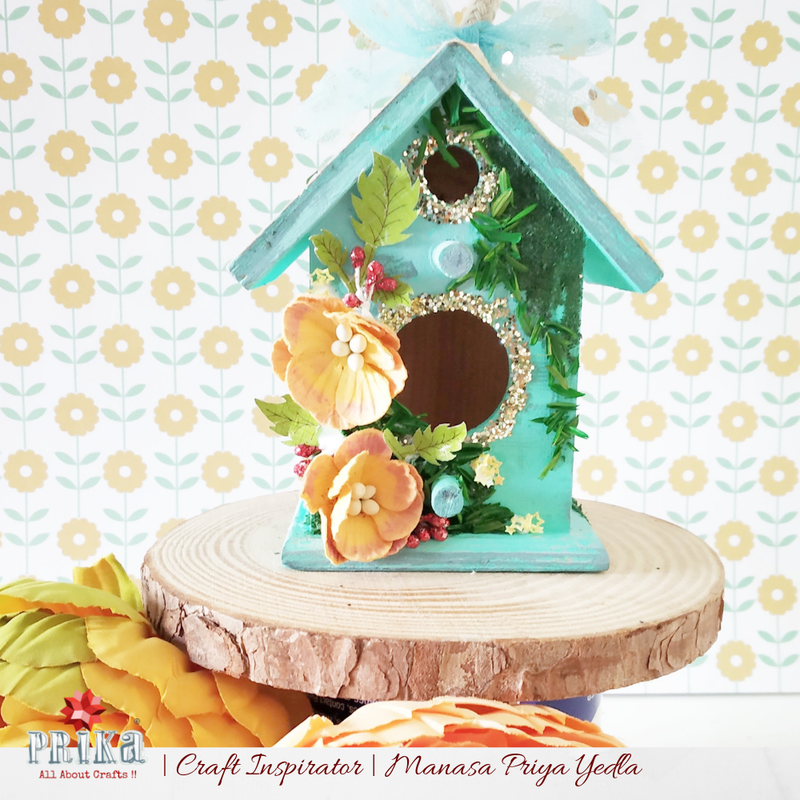 Learn one thing a time and master it !! 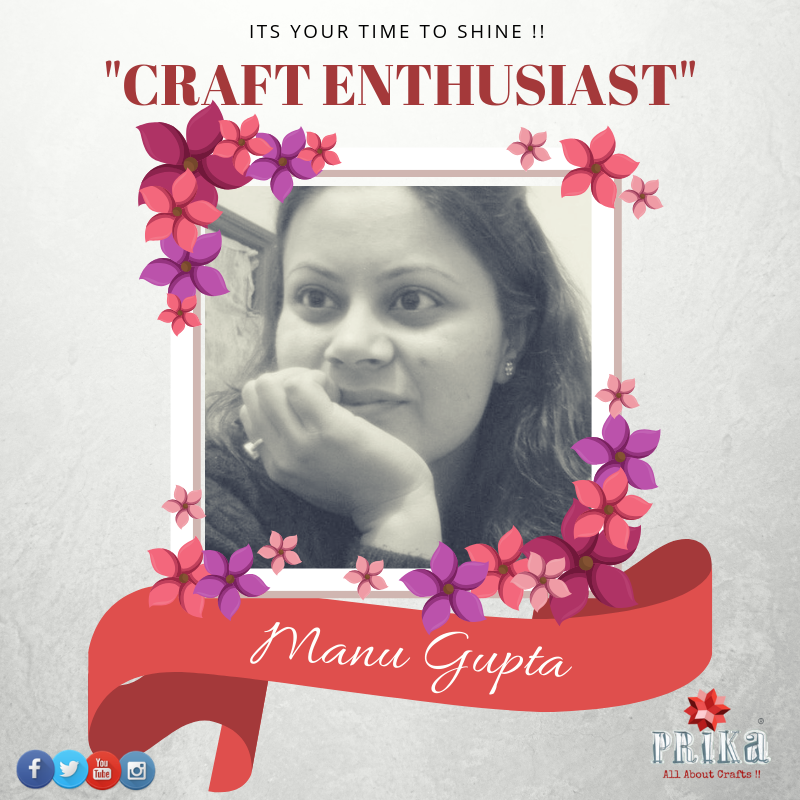 Let's raise our hands and cheer for this weeks featured crafter.... very talented, experimenting and out of box designer is here with us sharing her part of story ....let's welcome ”Craft Enthusiast of the Week : Manu Gupta” , she is inspired by the fact that her creations brings joy and smile to people and make it more special. Also taking inspiration from everything around her, this very nature..Her motto in crafting is to " Smiles across Miles".....There’s lot more to know about her journey and her passion for crafting in her own words…as well as some of her amazing projects she had worked upon! Here I am with my very first inspiration project done on Prika's blog. 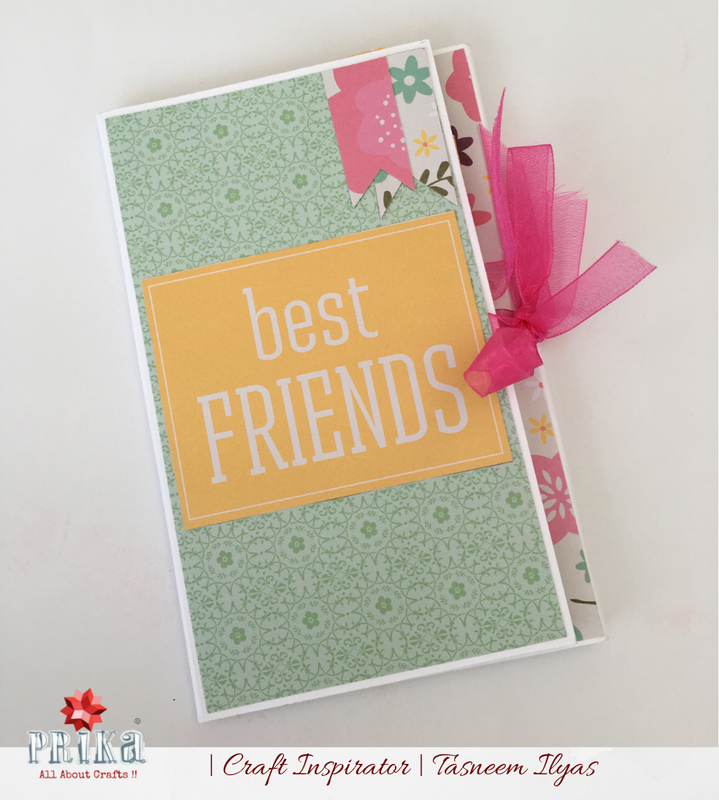 My project for the month’s challenge is a Card Album, made out of 1/2 sheet of 12 x 12 CS. Here is my craft inspiration for this month’s challenge. 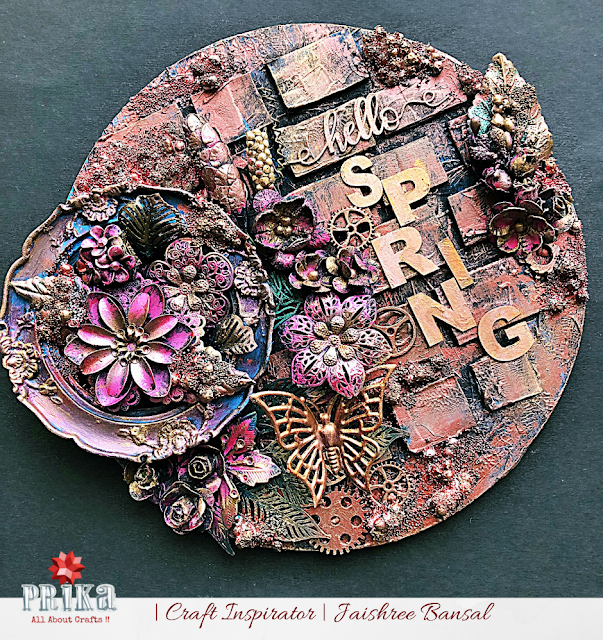 There are some amazing layered background dies in the market but some can get very pricey so I tried to create a faux layered background using the dies in my stash. 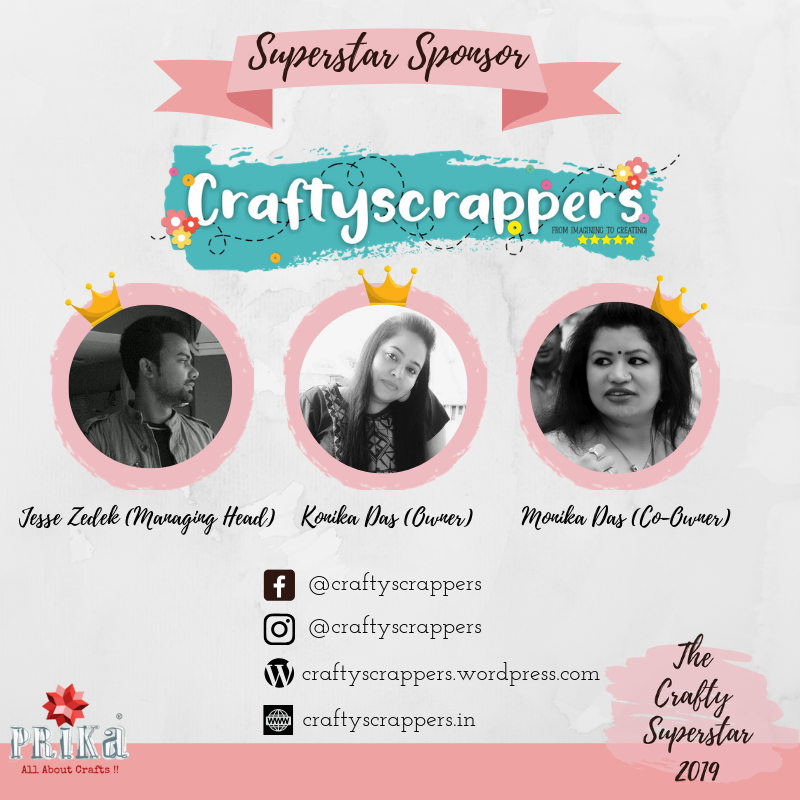 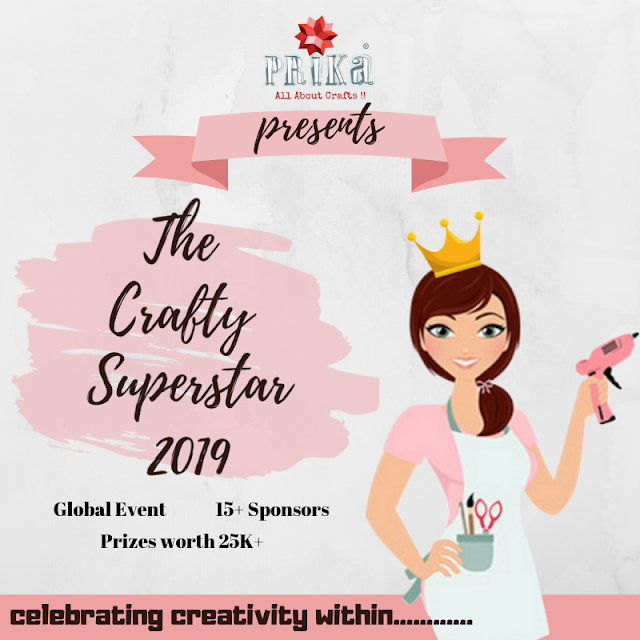 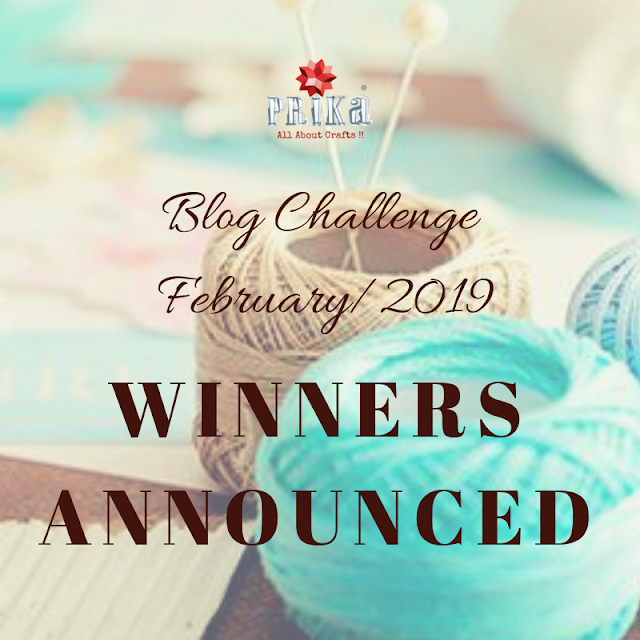 Shweta here and I’m very excited today because this post marks my debut on Prika’s blog as a Craft Inspirator for the term of the next 6 months. 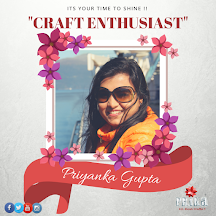 I’m very glad and thankful to Prika to have gotten this opportunity to work along side a talented team of crafters. 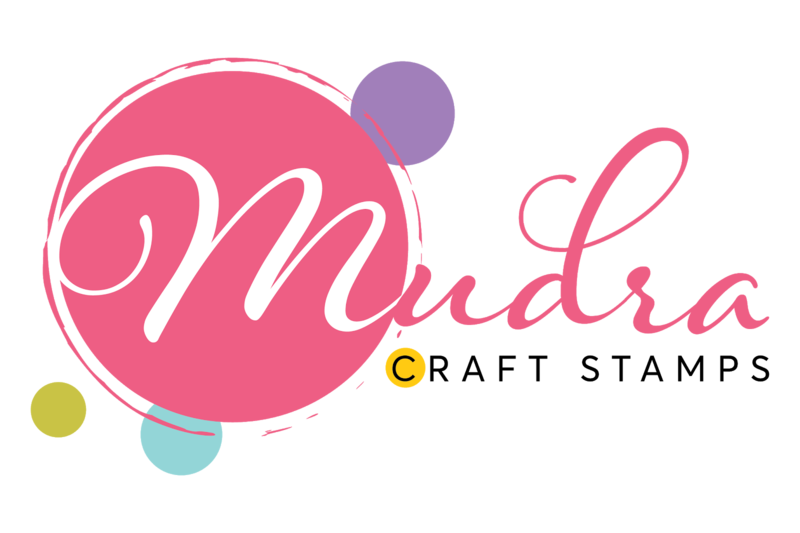 I’m already enjoying it. I am on Prika’s blog today with an inspiration for the current challenge.. With a beautiful pastel mood board with a twist of adding Bling. Another lovely challenge came to an end....and we got lovely craft entries from you all, but unfortunately we had to disqualify many of them due to missing completing all required steps. So here we are with all the winners for the challenge. 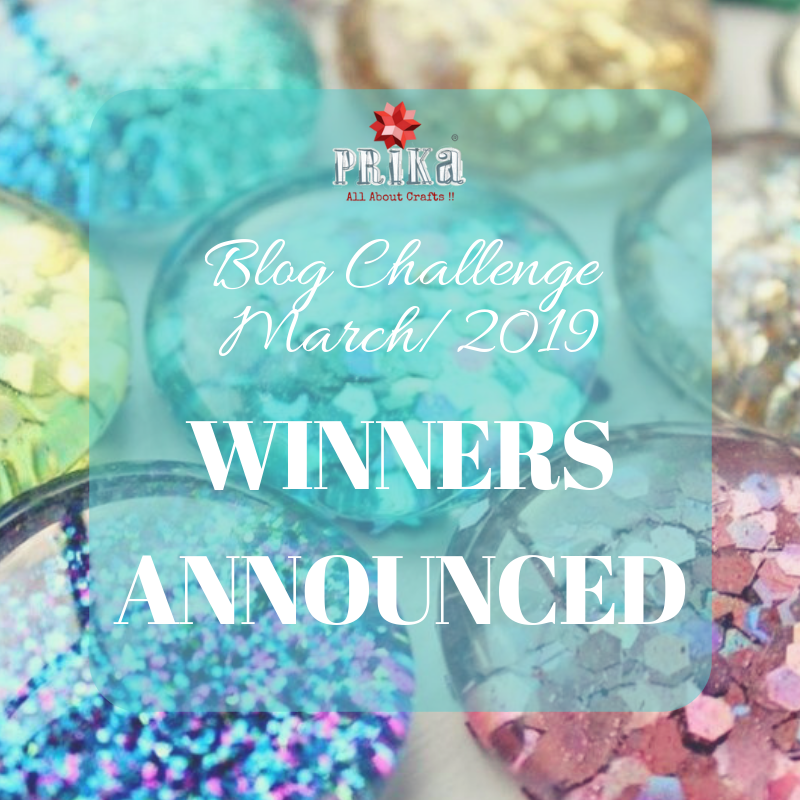 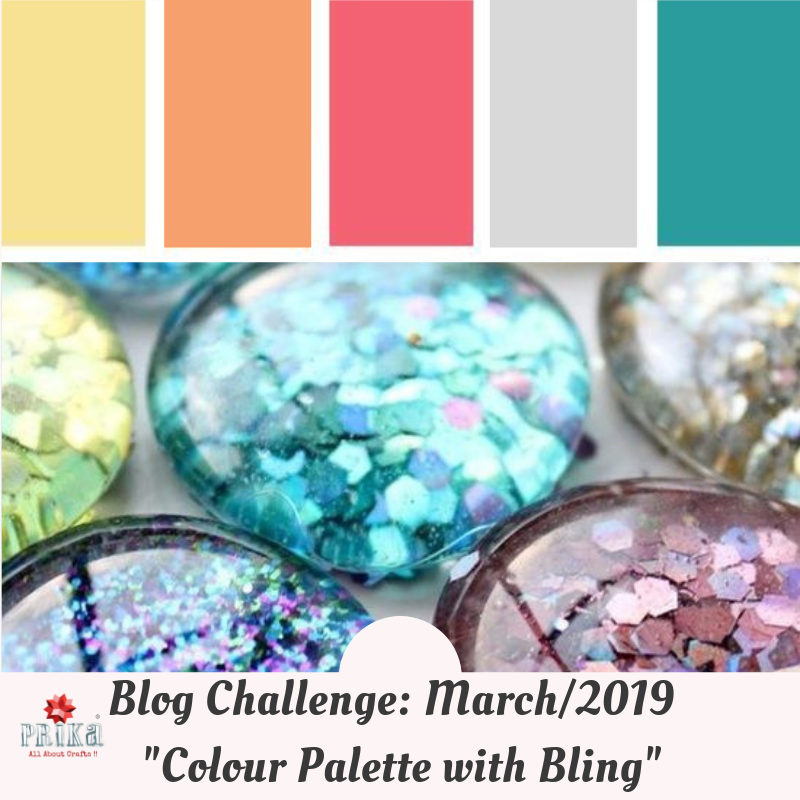 Blog Challenge March-2019 : "Colour Palette with Blings"
As you all know, this month is going to be all bright colours and fun with friends and family splashing some water balloons, dance and food....let's begin with another lovely challenge for March themed with these colour palette also adding some blings to it..
Today I bring you a quick tutorial for creating an altered bottle using decoupage technique. Hope it's going to be an amazing Friday Craft Inspiration for you all. 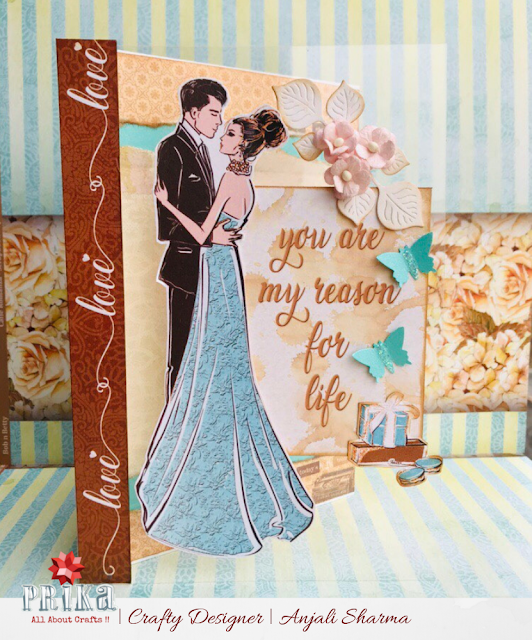 Welcome back to my blog, I am here today with you all to share one of my creations that I created to celebrate Love.... u don't have to wait for another valentine's to express your love, isn't it? 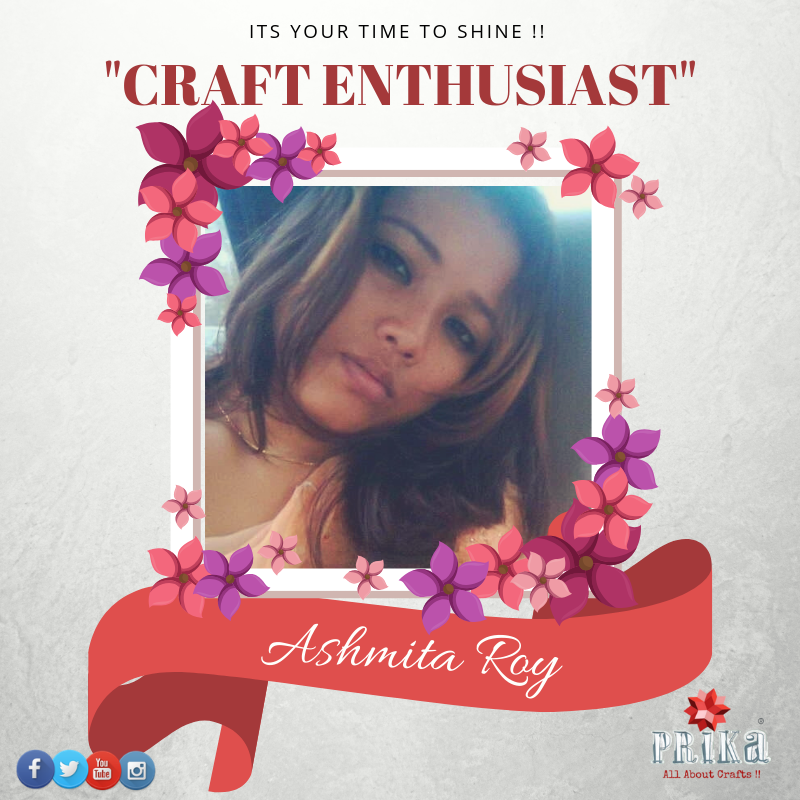 We feel so good to talk about such creative talented crafters around us who truly allow us to have a little sneak peak into their lifes, sharing their creative works and platforms for everyone to get inspired, learn and be motivated …today we have with us ”Craft Enthusiast of the Week : Ashmita Roy ” whose love for crafting kept growing since childhood, managing to find alternatives for different materials for creating something creative. 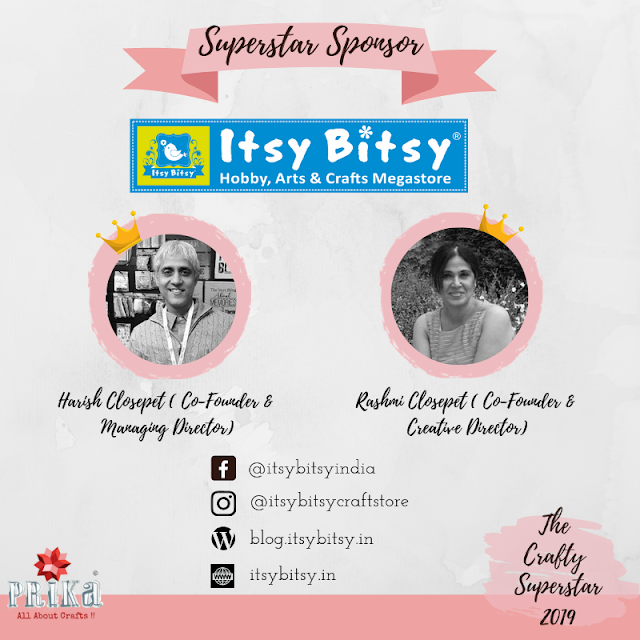 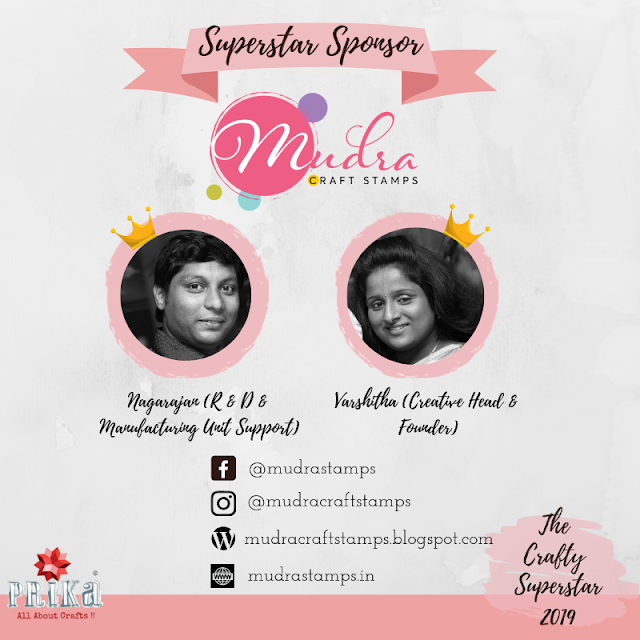 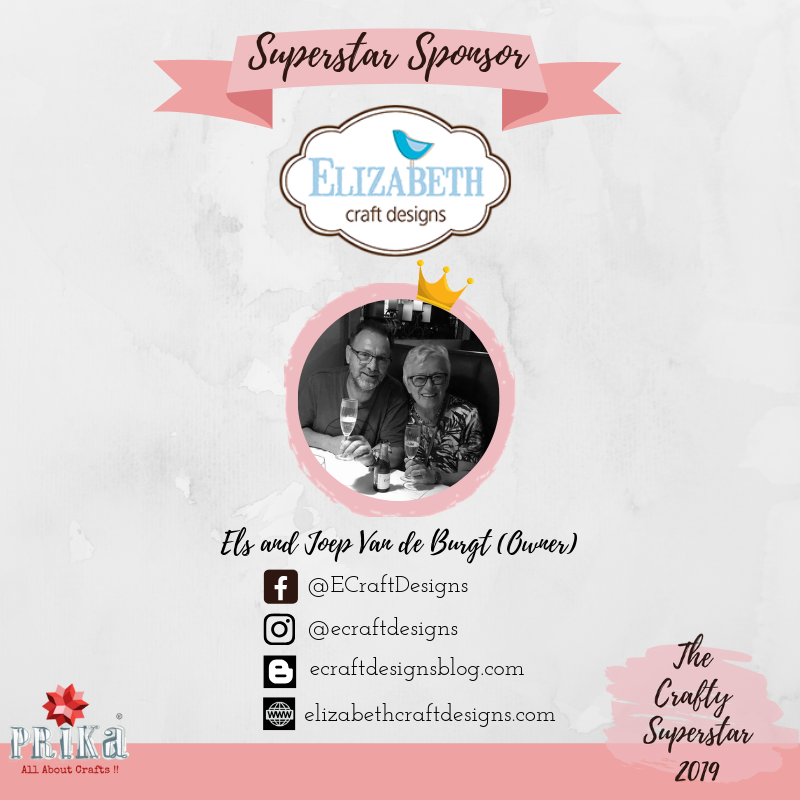 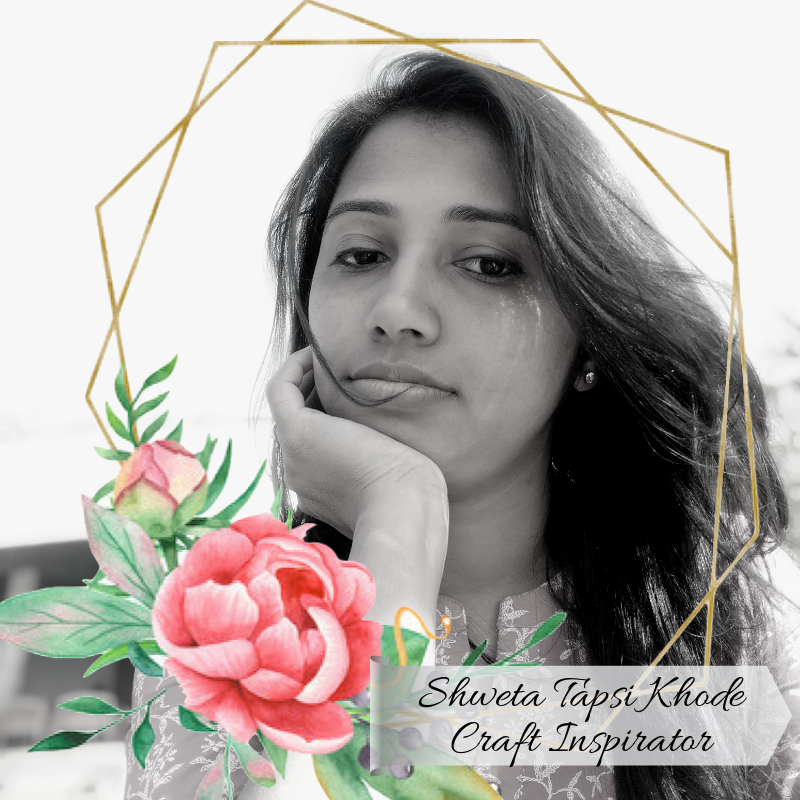 She thinks to be crazy about crafting and is still going on...........There’s lot more to know about her journey and her passion for crafting in her own words…as well as some of her amazing projects she had worked upon! 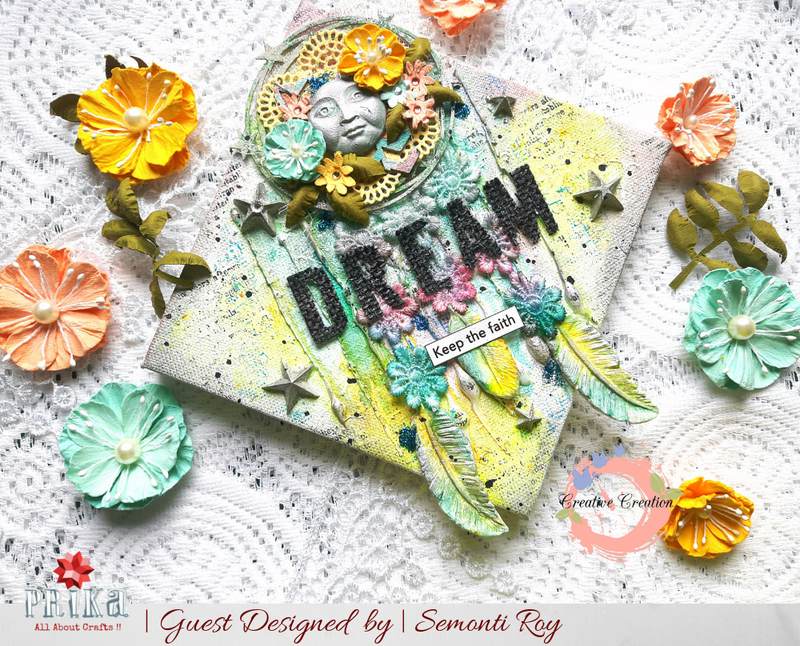 Zinal Choksi from “I creations” here. 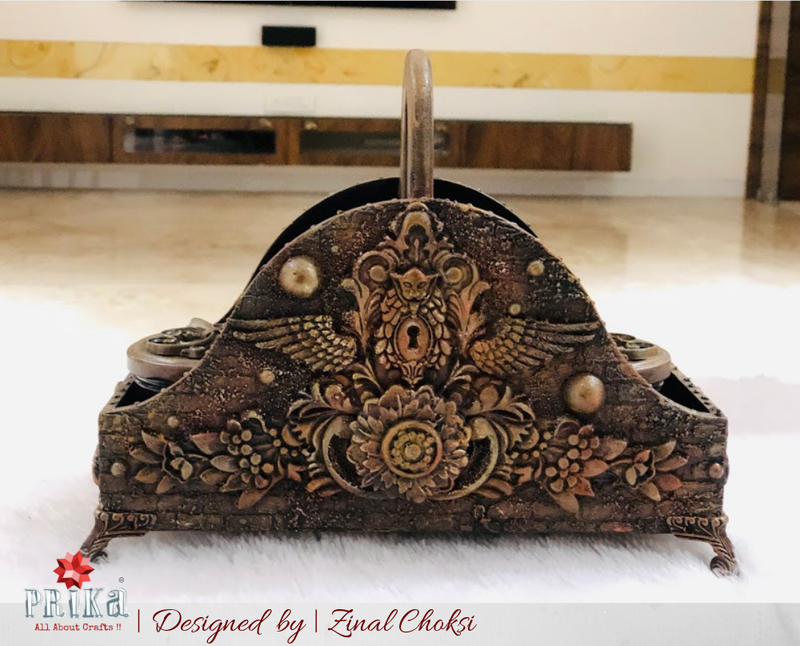 I created a lovely jar holder using mix-media which can be used on day to day basis and looks great on your centre table. 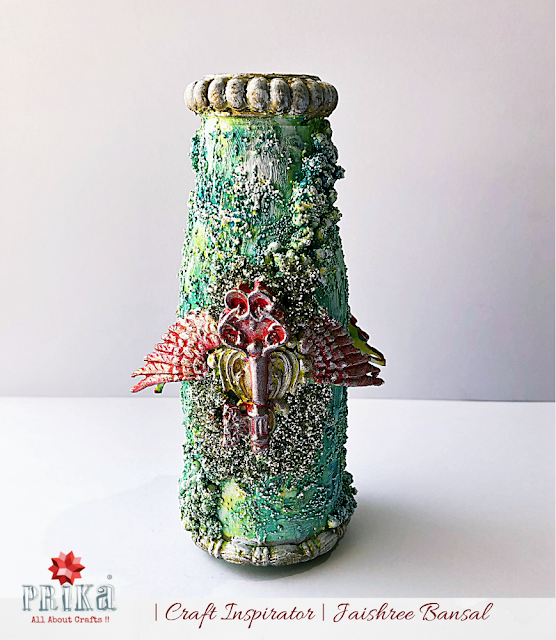 I have described in detail the materials used and step by step process to make the jar holder. 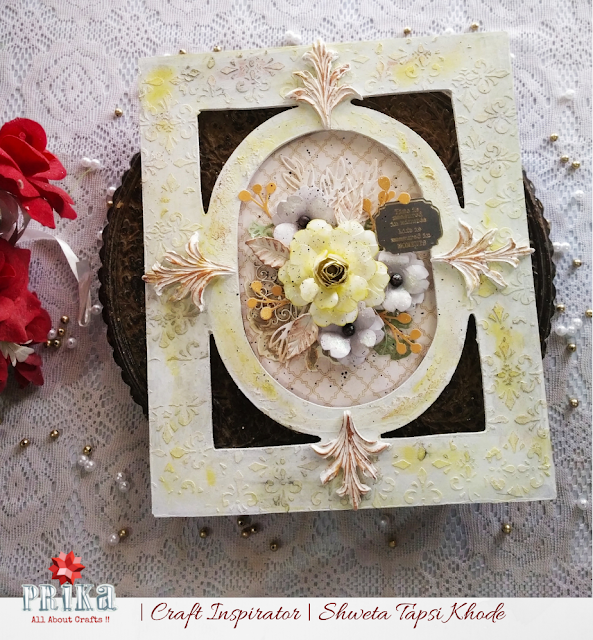 My greetings to you all, here I am back on the blog with one of my own creations making a record book for another cute little baby boy. 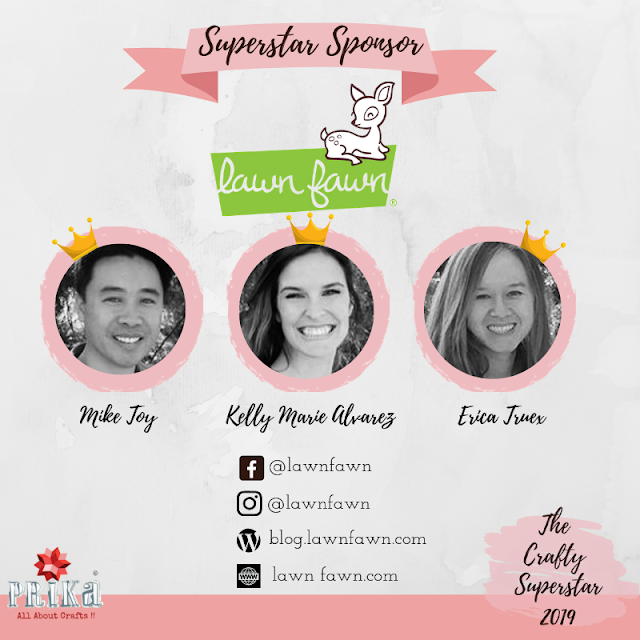 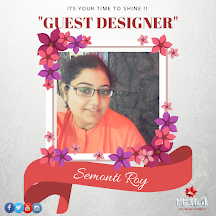 Shweta here today, to share my guest designer post. 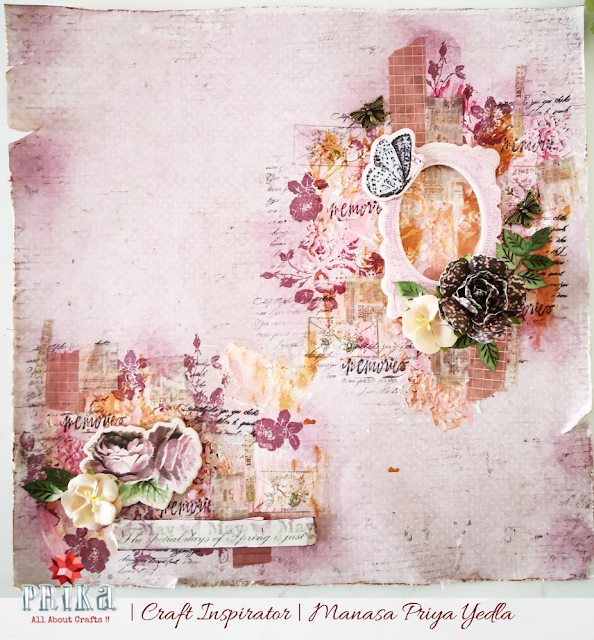 Prika has an interesting ongoing challenge mood board this month- Winter Blues with a Twist. I have created three beautiful tags on the lines of the challenge mood board to inspire the crafter in you. 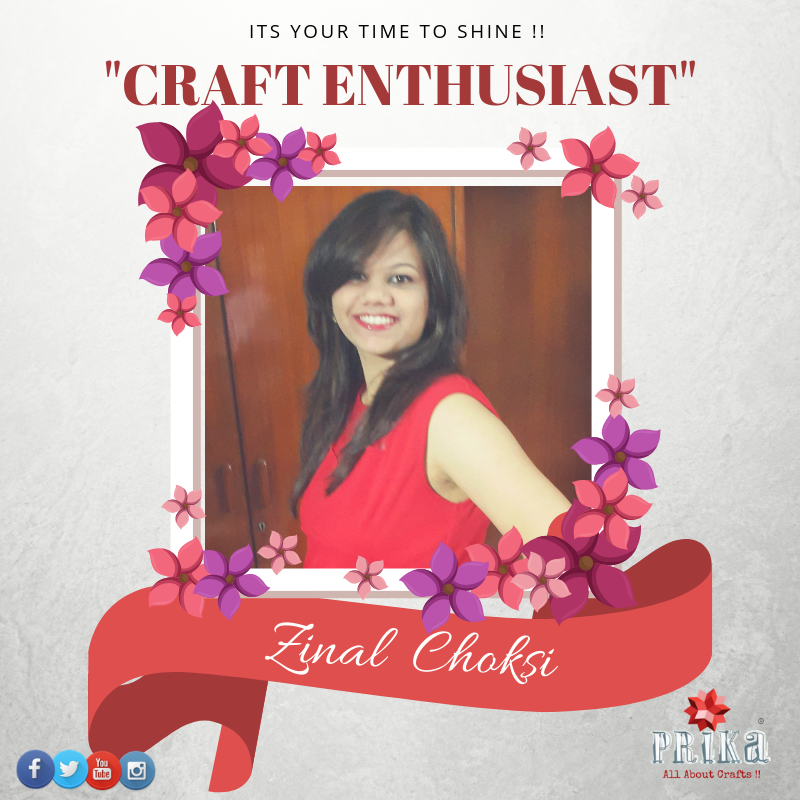 Let's begin another month getting to know more creative talented crafter's around us...This week we bring you …”Craft Enthusiast of the Week : Zinal Choksi ” a mompreneur, born and raised in Surat . She always had something in her mind to pursue and live an independent life apart from managing her family and kids. 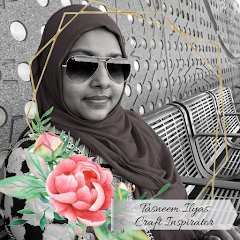 Experimenting into world of crafting she does amazing handmade cards, decoupage and mixed media projects........There’s lot more to know about her journey and her passion for crafting in her own words…as well as some of her amazing projects she had worked upon! 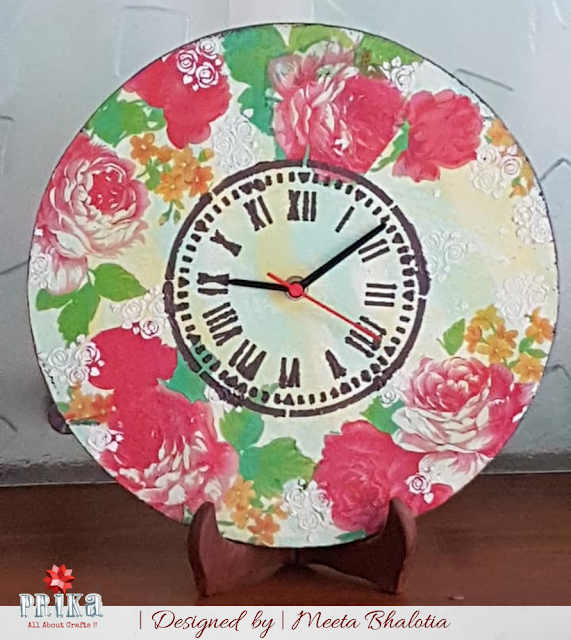 I am back on Prika's Blog with a lovely and super fun Friday Craft Inspiration for you all creating a decoupage wall clock. 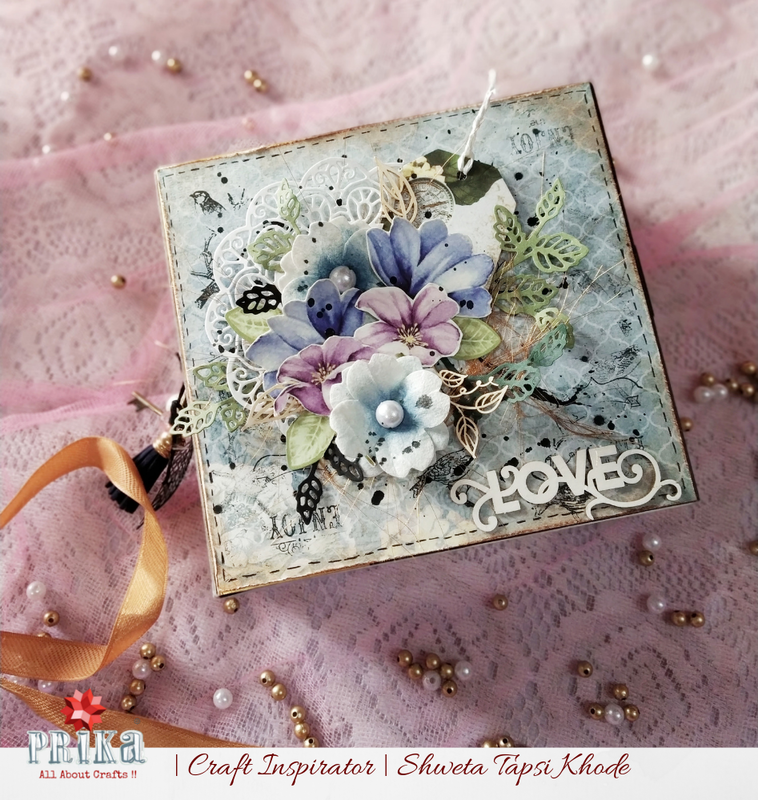 I’m Shweta, a stay-at-home mom and a passionate self-taught crafter. I was a software engineer by profession, when I got introduced to the world of paper crafting. 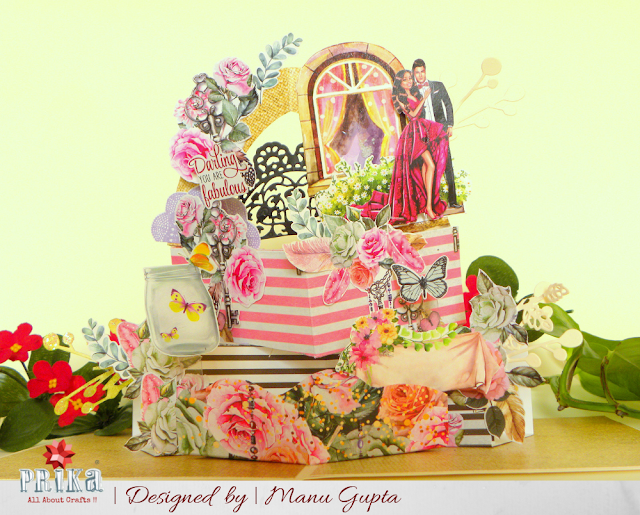 I saw some paper quilling work of a colleague and instantly got attracted towards it. 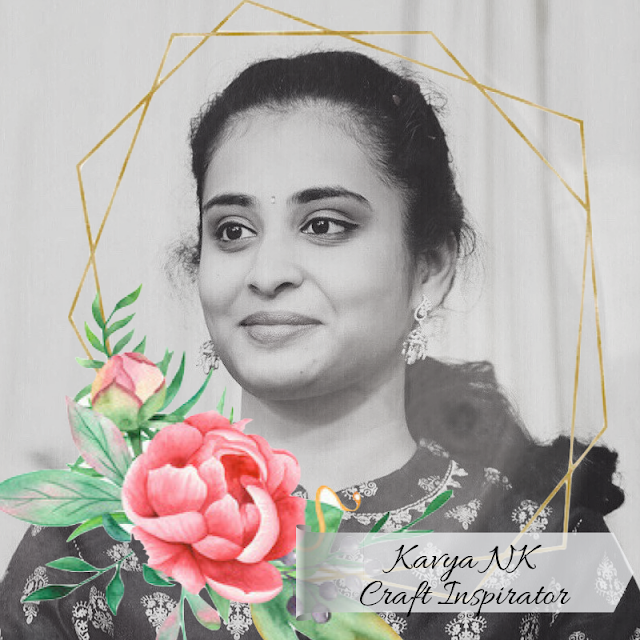 I am Kavya N, a 20-year-old crafter currently double majoring in BSc Computer Science and BSc Data Science with a certificate in Entrepreneurship and Innovation in USA. 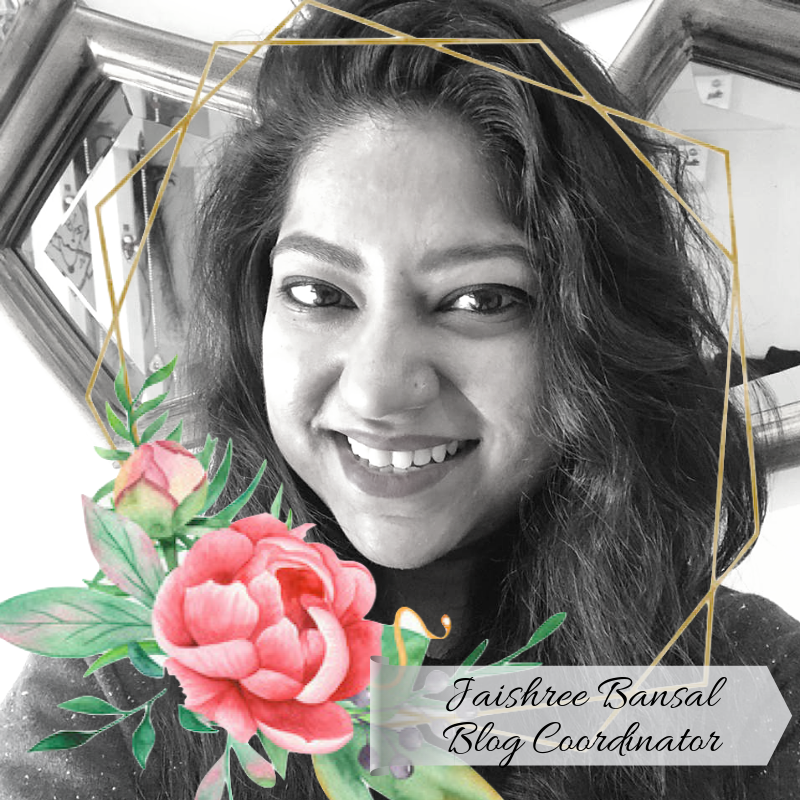 I also call Dubai and India home (a proud third culture kid)! 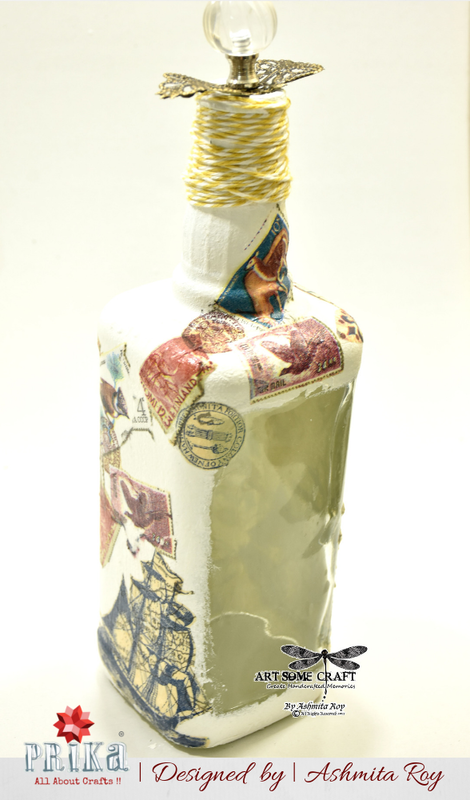 I am Manasa Priya, a Crafter based out of Bangalore, India. I did my masters International Business Administration and Psychology & Parapsychology. 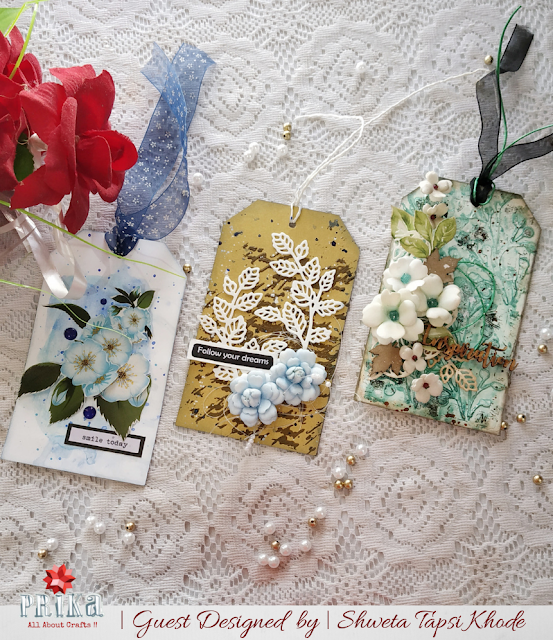 I love crafting so much so that I left my Corporate Banking career to be a full time Mom to a two year old and to be an ardent Crafter. 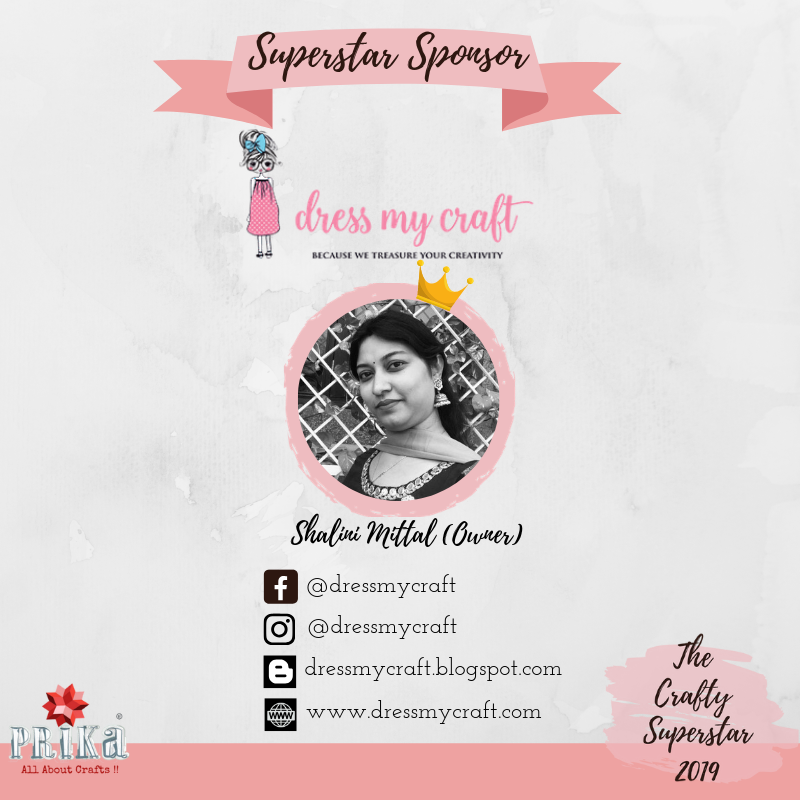 It’s the dreams and passion to craft that lead me to a reasonably good level in two years of my professional crafting career. Tasneem this side, from Sydney, Australia. I am a Degree holder in Nutrition and Dietetics but crafting has been my passion since childhood and I have always wanted to make it my profession. I Jaishree Bansal, 28 years old am a creative enthusiast. 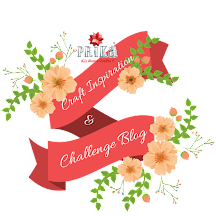 Here i am back again on Prika's blog for another session. I love all things art and craft. I am a self-taught crafter who believes in sharing the creativity with the world. I find inspiration in the smallest of places and try to bring it out in my projects. 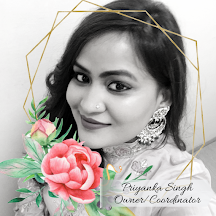 This is Anjali, designer@Prika and today I am here with a unique clear acetate card on the current theme going on “colours of winter”. 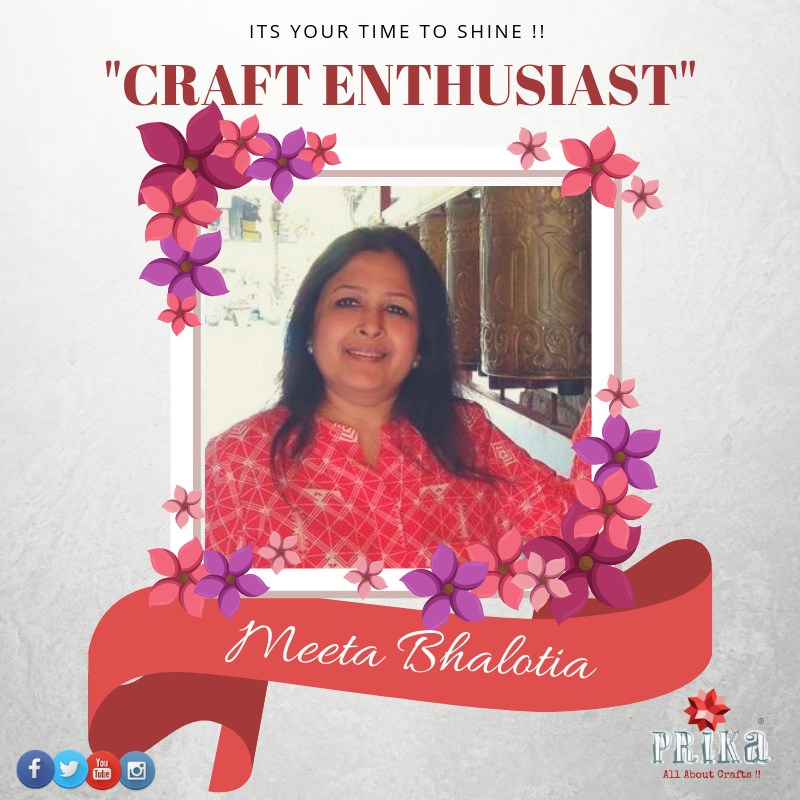 Our very last featured crafter for this month is here, sharing with us about her little crafty life …”Craft Enthusiast of the Week : Meeta Bhalotia ” a happy-go-lucky homemaker from Kanpur and now settled in Kochi feels truly blessed to have such creative instinct since childhood, and always finding time to paint and craft then and now.......There’s lot more to know about her journey and her passion for crafting in her own words…as well as some of her amazing projects she had worked upon!